As an ecumenical network of Christian port chaplaincies, NAMMA exists to provide safe space for those from different denominational backgrounds and with different ministry capacity to share and discuss the issues that most concern them. NAMMA provides members access to online resources that help their work. Check out ourFlickr and Youtube channels for photos and videos members are encouraged to use. 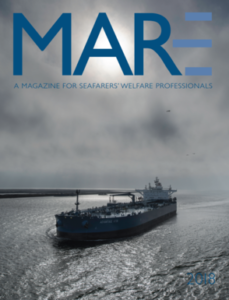 Periodically we also provide funding from national and international organizations committed to seafarers’ welfare to encourage training, purchase of equipment or in cases of seafarers emergency. These grants are announced as the money becomes available. ​We seek to provide excellent professional development in partnership with the Seaman’s Church Institute of NY & NJ, the Houston Int’l Seafarers’ Center and other international organizations like the International Christian Maritime Association (ICMA) and the International Seafarers’ Welfare and Assistance Network(ISWAN). Though we rely on them to transport 90% of our goods, seafarers are often forgotten. By extension, the ministries that serve those hard-working men and women are off the radar screen of many church communities or support groups. NAMMA provides a network of agencies to promote this important work and encourage chaplains, ship visitors, volunteers and administrators in their daily activities. ​Formerly chaplain in the Port of Montreal and professor at Concordia University, Montreal, Jason has served as the Executive Director of NAMMA since July 2013. Do not hesitate to write or call Jason if you have any questions or ideas for NAMMA! NAMMA’s annual conference is the premier place for those involved in maritime ministry to connect with their peers and learn how to better serve their port communities. The next conferences will take place in Baltimore, MD in August 2018 and Charleston, SC in 2019.